Work for GoSystem Tax RS? Learning about GoSystem Tax RS? "Intuitive filing but old UI "
GoSystem’s diagnostics, while annoying to solve, are helpful in letting the user know what is preventing a filing from being substantially complete, and for some errors, will direct the user directly to the input causing the error. Organizer view and tax view help me know when I am in a screen where my inputs are hard coded and not. The import and export functions make data upload and download super easy; reducing the load on the associate to manually enter values from a return spreadsheet. Diagnostics explanations are hardly intuitive, and often times are surrounded by bundles of XML code, making it difficult to ascertain why an error is even happening. The platform itself requires extensive training to become familiar with. Customer support can take a while to get on the phone with given the sheer volume of calls they receive from tax preparers, but the support I have received has generally been pretty good. The best thing about GoRS is that is one of the most comprehensive software in the market. Its new web based application is fast and user friendly. Prior tax year versions are sometimes slow as compared to web based version. I would recommend to bring the older tax years on web based version which will enhance user experience and it will be faster to use. I'm in US corporate tax division and GoRS is our soul. We prepare all our returns through GoRS. It is comprehensive, simplified and user friendly. The benefits we have realized are way beyond its cost. "One software to file all"
Navigation and simplicity of the software is the best. We can use it without much expertise. One who have the tax knowledge can use it. It can be easily used to prepare tax returns and file all the returns, extensions and estimates. E filing is also very easy to do with this software. Good job done! Keep it up! Preparing the tax returns is the most important part done on this software. we can also use it to prepare long forms of returns and also e file them as per our convenience. "Integrated Schedules, Archaic Look and Feel"
GoSystems allows for so many different tax types and feeds through to all the necessary schedules. The drilldown feature allows you to see where certain numbers flow from and is as important as any feature I've ever used. GoSystems allows for efficient completion of returns but feels like it was designed in 1980. I used this system while at a Big Four accounting firm. The system is sometimes a bit delayed on getting new forms populated and uploaded. GoSystems is great for tax return preparation but can be a bit of a hassle to navigate. Make sure you have the support number handy as it can be trying at times. GoSystems allows for Federal and State tax return preparation all in one place. The benefits are efficiency, remote log in, and cloud storage. What I like best about this product is that it does help me deliver a finished product to the client. What I dislike is how slow GoSystem runs when many people within my firm are using it at the same time. It also seems that many of the representatives do not know how to help with problems. If a rep. is new, it takes much longer to resolve issues. I am delivering to the client. GoSystems is one of the most accurate tax softwares I've used. The customer support is top notch. 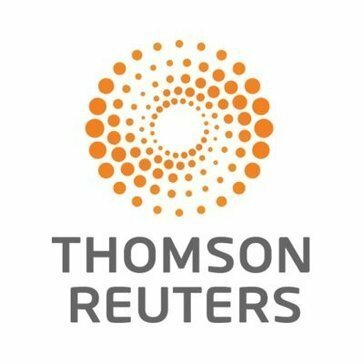 Often times, when I get a return close to it's final point, I can just call Thompson Reuters and have them adjust any of the final diagnostics or e-file issues. They are incredibly helpful! Around deadline, the wait times can be high when calling customer service. Being on the East Coast, I try to call first thing when I get to work to avoid any waits. Great tax preparation software. The calculation screens and workpages are top notch. There are even autogenerated statement options for nearly any election, so everything can really be done in the software. "Have loved it. User friendly and easy to navigate"
The software is user friendly and easy to navigate. The print-preview makes reviewing and making changes to the return super easy to see updates without having to go back and forth to the print preview. It handles state returns very well, although there is still progress to be made with the common state functionality and the information flowing to the returns. At times, the e-file/validation diagnostics. Mostly ability to handle multi-state and consolidated returns better. There is not a whole lot I like about this product. It's convenient. The product is very slow and sometimes the diagnostics are hard to follow. When dealing with new representatives, they often do not know how to help or tell you something cannot be done, when in fact, it can be done. I am able to deliver my finished project to the client with the help of GoSystem. GoSystem RS is th most comprehensive tax preparation software in the market. It supports virtually every federal and Internation tax form. The depreciation module is very old and not easy to use. The import and export feature for fixed assets is difficult. The software is very expensive but it is a must for any CPA firm dealing with complex tax issues. "Probably as good as it gets"
The software is rarely intuitive. The state returns, especially early in the season, can be buggy. GoSystem is clearly the standard. I used it at my old firm, and we use the client version--OneSorce--now. It handles basically everything you can throw at it from a federal point of view (except for perhaps a few rarely used forms, but I can't recall any off the top of my head), and, once you get the hang of it, things work about as you expect. The "about" is a bit of a concern, unfortunately. It's not always clear where things go, and it's not always consistent from one situation to the next. Where you'll find the biggest issues is when you switch back and forth between Corporations and Partnerships. On a corporation, that check box you need may be found on the "General Settings" tab. On the partnership, it may be down in a completely different section. I found myself on the phone with support more often than I'd like just to root out that check box that I knew was there, but just couldn't find. As for support, they are top notch...during the off season. It becomes painfully obvious when they first start ramping up support staff during busy season, because suddenly the people answering the phone seem like they aren't even sure what product your using. And, unfortunately, it will often take up to an hour (or more) to get through to anyone, even that useless support person, as the deadline nears. My last big complaint is that the state support can be hit or miss. Sometimes the states work perfectly well, everything flowing with zero overrides (meaning you have to enter in the data manually rather than having it calculate from another location). More often, though, there's at least a handful of fields that refuse to populate. And support, when you get through to them, will say something like "that's a known issue," or "we'll send it to development." Sometimes the issues get resolved, sometimes they don't. It's even worse if you have to prepare state returns early in the season, since clearly the majority of development is focused on the federal return at that point. I don't want to sound too much like a complainer, but it seems like anyone should know about these issues before they jump in. From my experience and what I've heard about other software, it's not any worse than anything else in the tax world. There's really a ton of data for them to recompute every year, so I understand the difficulty of getting it all right on day one, especially when the governments haven't released all the necessary forms. Overall, the software does what it's supposed to to, it's fairly robust, and it does most things well, Just don't expect everything to be smooth sailing. "Compliance tool which is easy to use"
If you are strictly looking for a compliance tool for tax return preparation, this is the one. We help clients with their tax returns. Go systems offers an easy way to keep track of returns where an entity has many foreign subsidiaries under it. "Fairly easy to use but long wait for support during busy seasons"
"GoSystem makes tax returns easy"
The software is user friendly for the most part and it is easy to find places to enter data through the organizer or the forms. The trust returns are not as advanced as they should be, it seems like they need more programming work so that data flows correctly. I prepare tax returns. GoSystem helps prepare complex tax returns and it makes amended returns easy. "I don't know of anything better"
It handles complex tax situations and lets you import data when necessary which was really helpful when we had tons of data. It's not intuitive, took a while to learn. Taxes... GoSystems in particular is good for partnerships when there's a lot of special allocations. It was able to calculate tax forms needed with the inputted information. Customer support was pretty unresponsive and was the wait time for customer support was usually around an hour or more. Able to fill out tax forms faster than manually doing it. I like that the software is intelligent, when you enter numbers they flow into the return effortlessly. Seems like it’s 5 years behind in technology. It’s very clunky and frustrating to work in. Things take a lot longer than with other tax software. Doesnt automatically refresh inputs and place them into the tax forms, have to manually update. "Good software on the lower end of price"
"Excellent Software - Easy to use"
* We monitor all GoSystem Tax RS reviews to prevent fraudulent reviews and keep review quality high. We do not post reviews by company employees or direct competitors. Validated reviews require the user to submit a screenshot of the product containing their user ID, in order to verify a user is an actual user of the product. Hi there! Are you looking to implement a solution like GoSystem Tax RS?